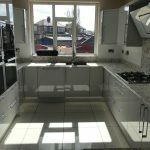 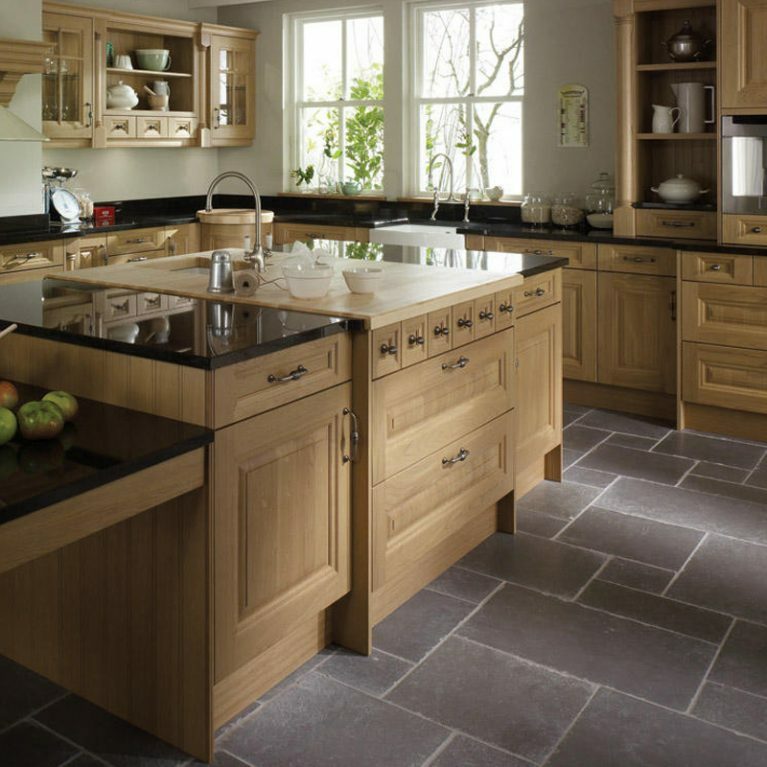 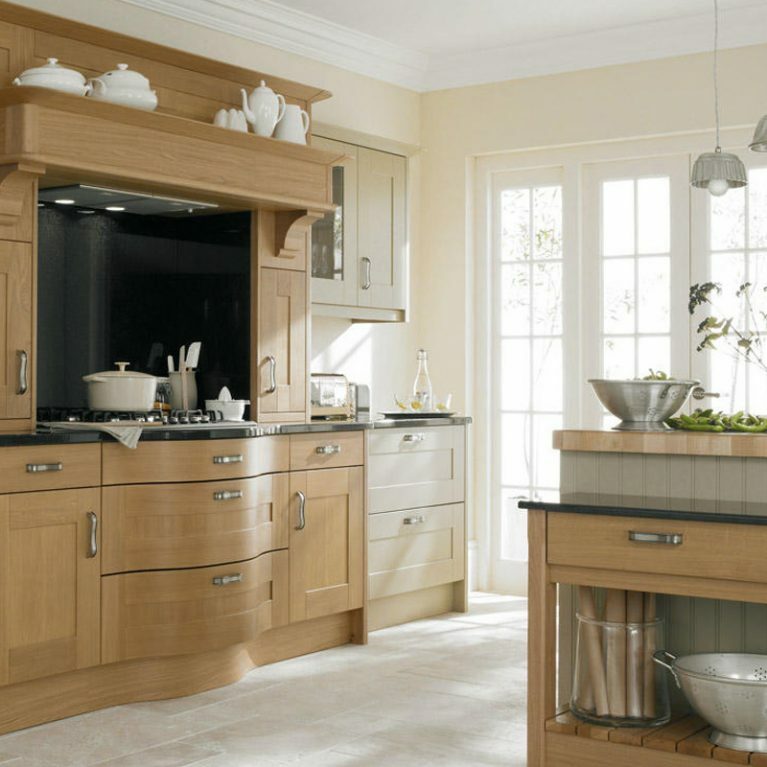 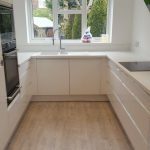 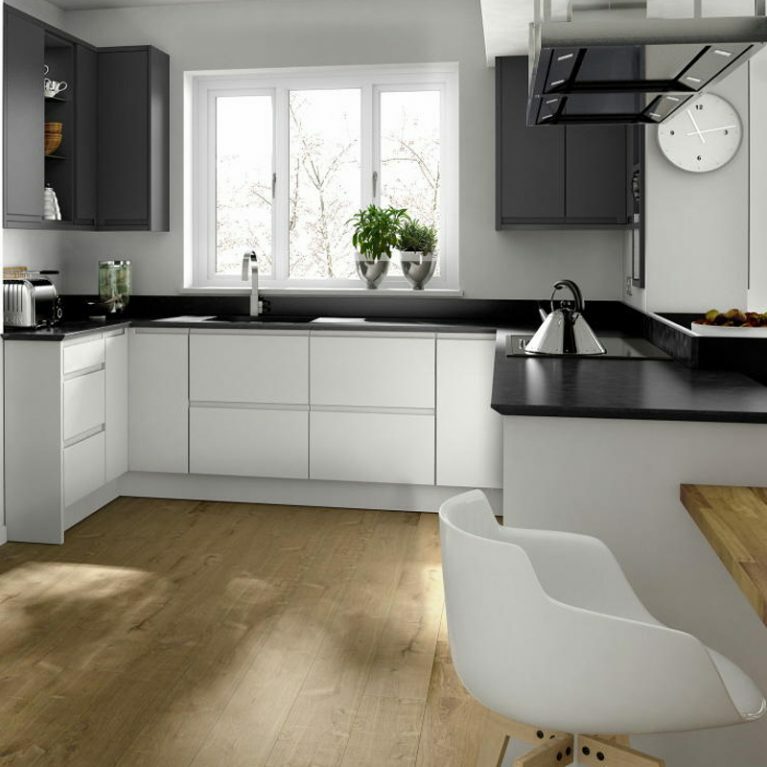 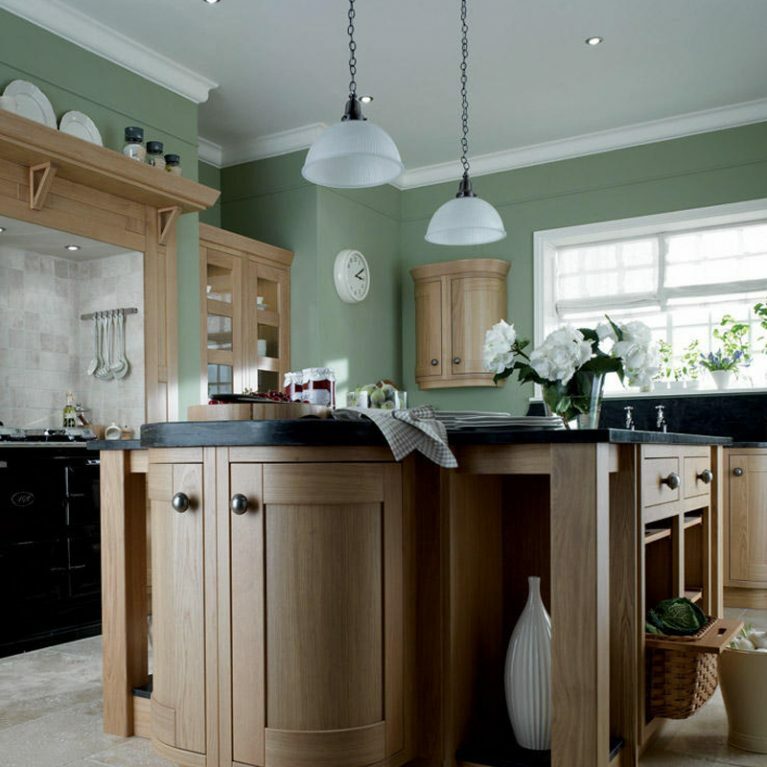 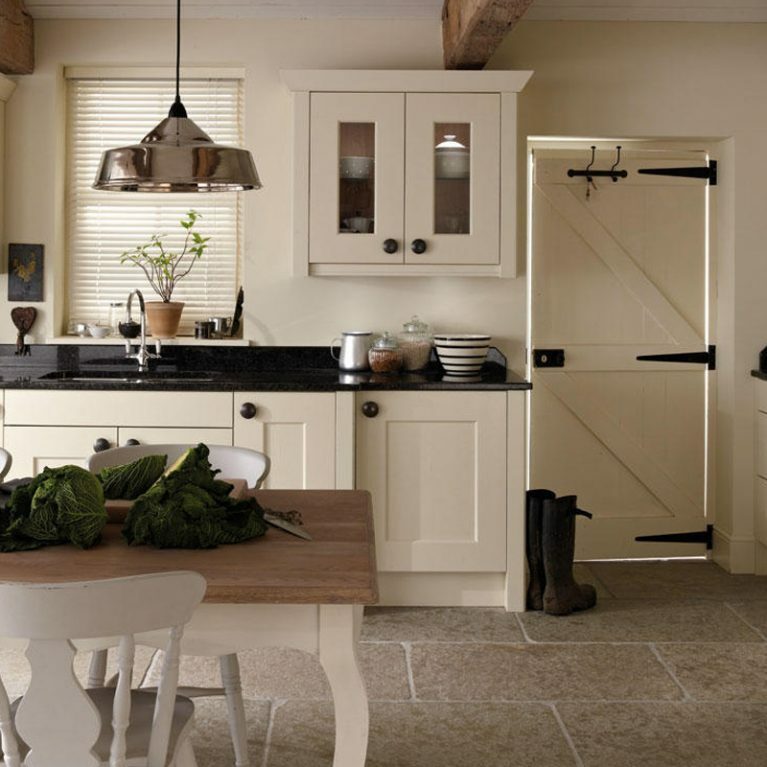 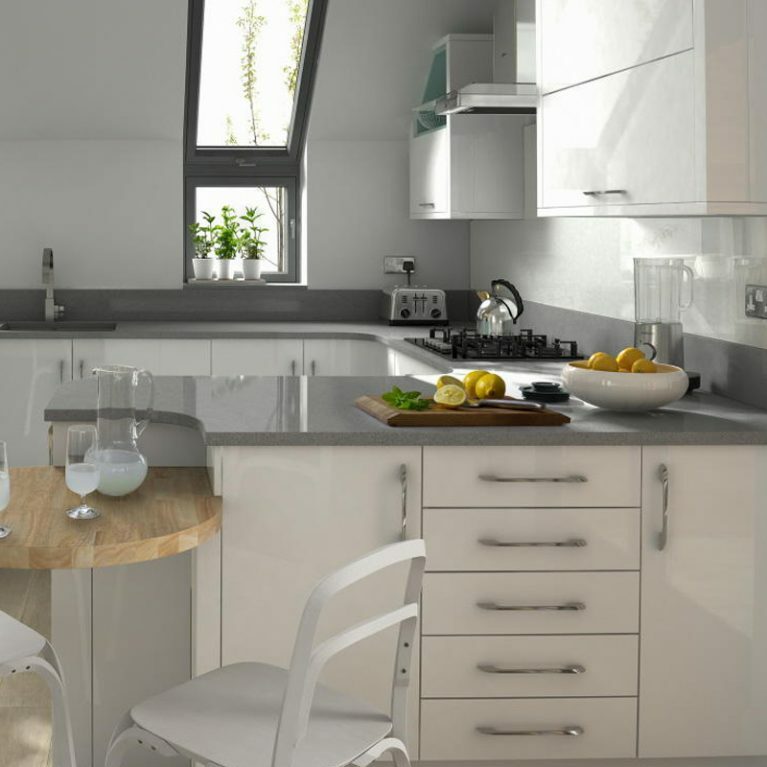 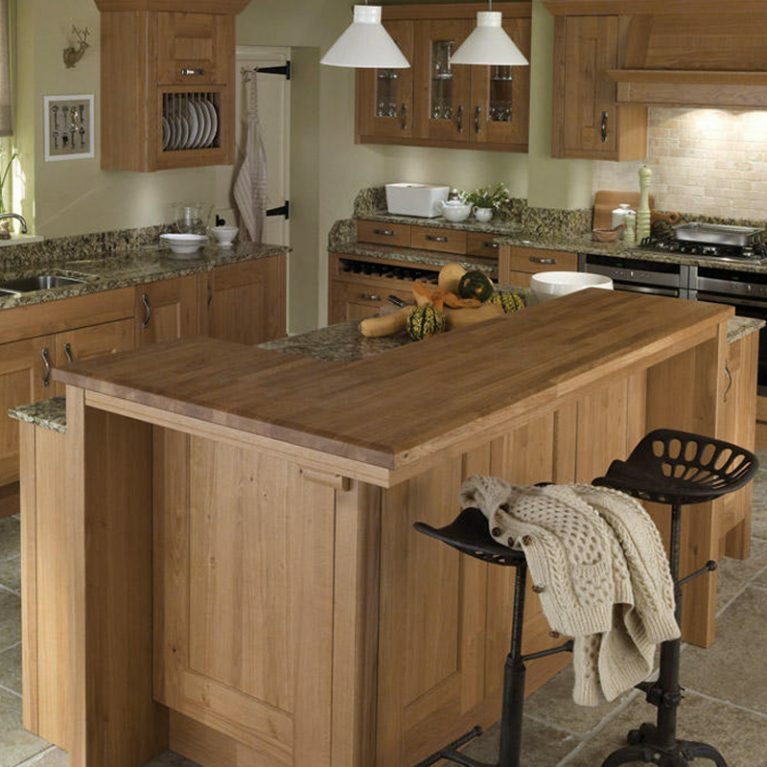 Shaker kitchens are designed to provide optimum storage and make the most of your kitchen space in a practical fashion. 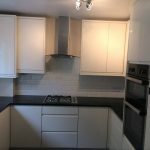 However, no one said that they had to compromise on style whilst doing so. 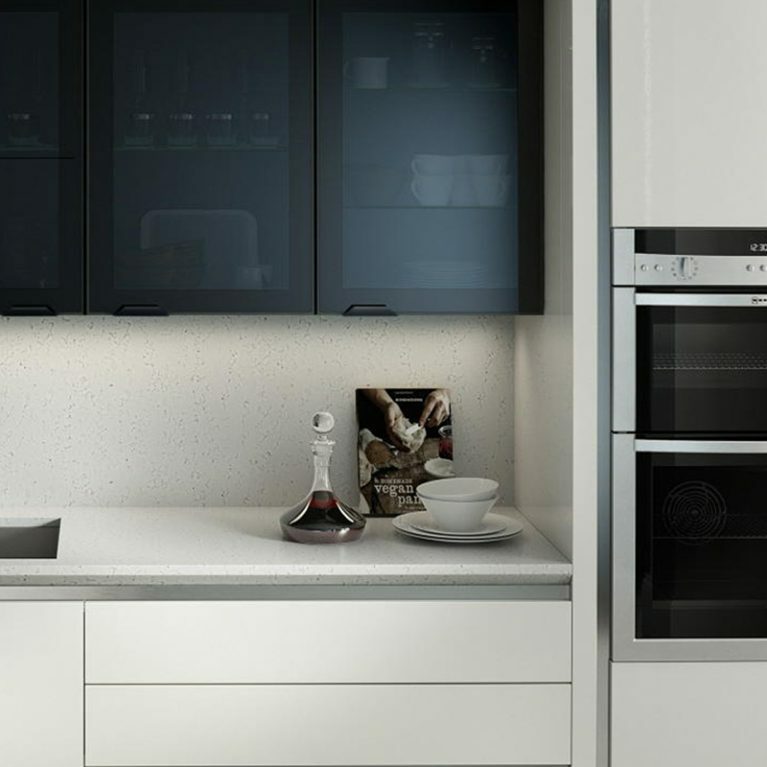 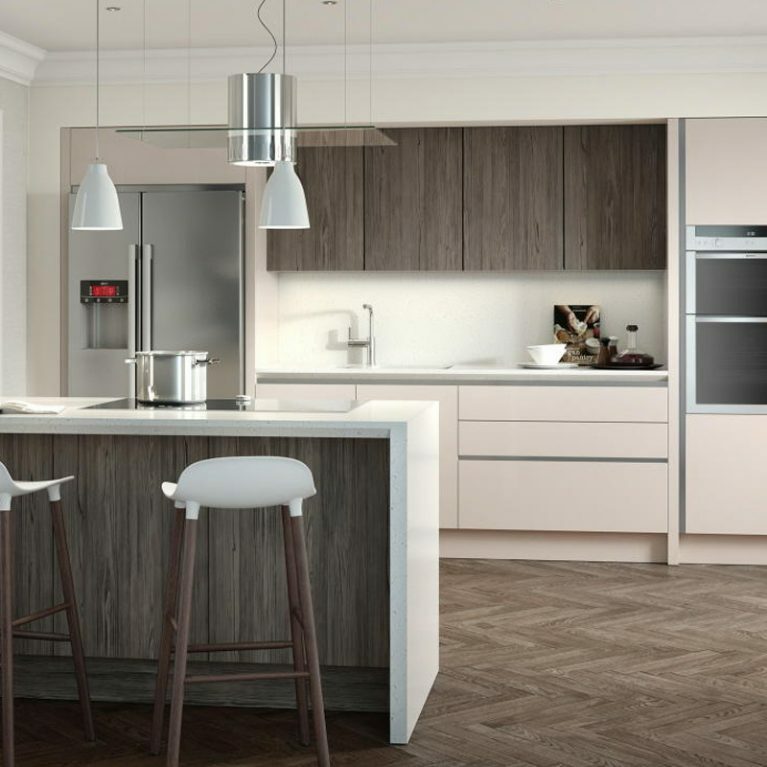 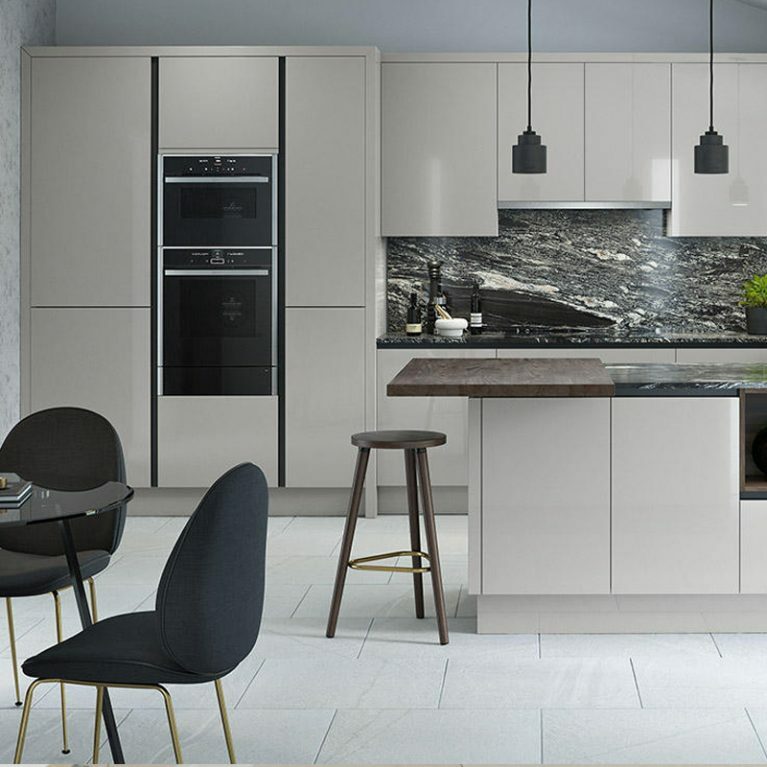 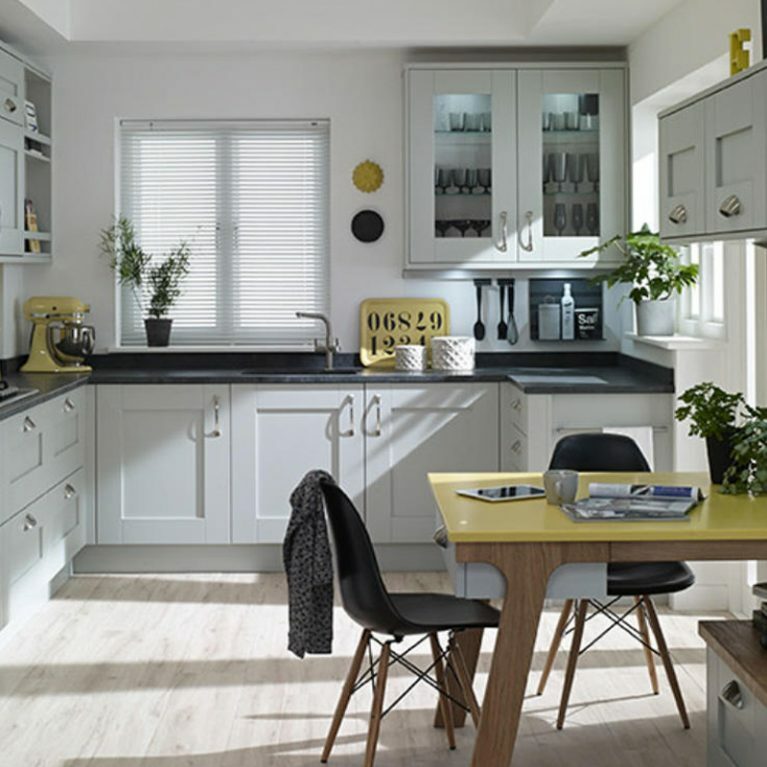 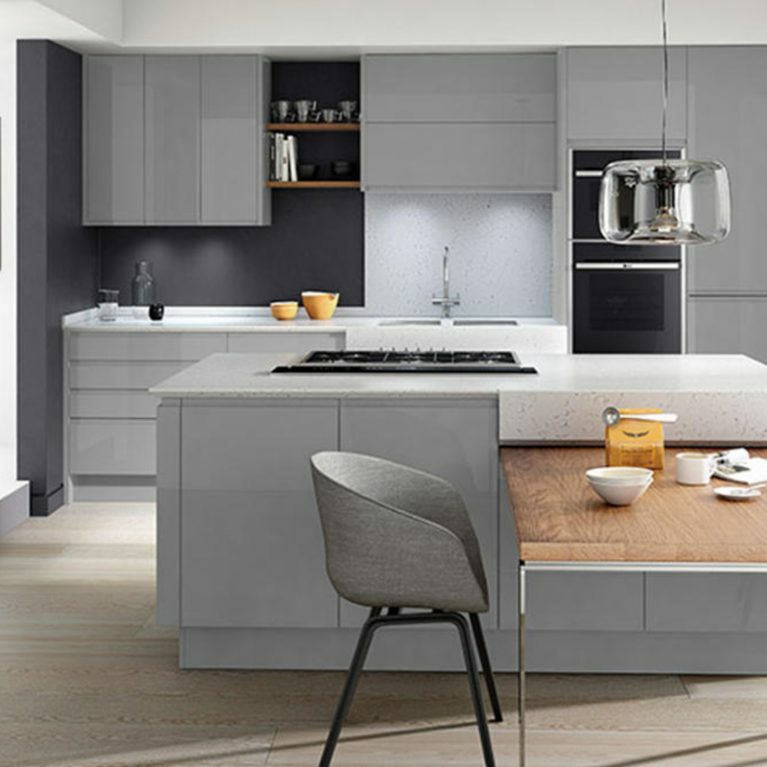 Introducing the Langham Alabaster, a wonderful and modern kitchen design that will offer you a phenomenal selection of storage opportunities, as well as plenty of surface space for entertaining, food preparation and dining too. 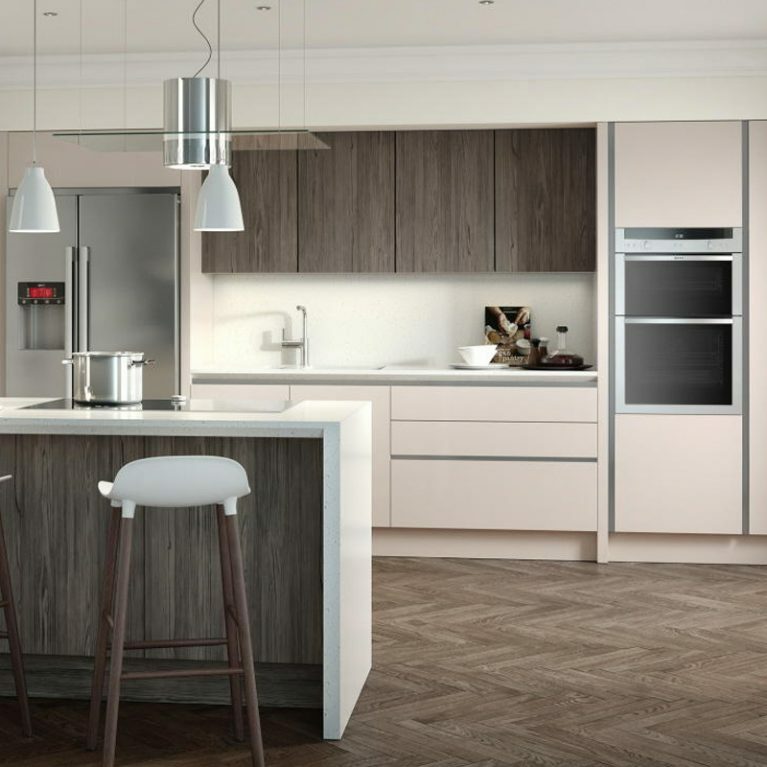 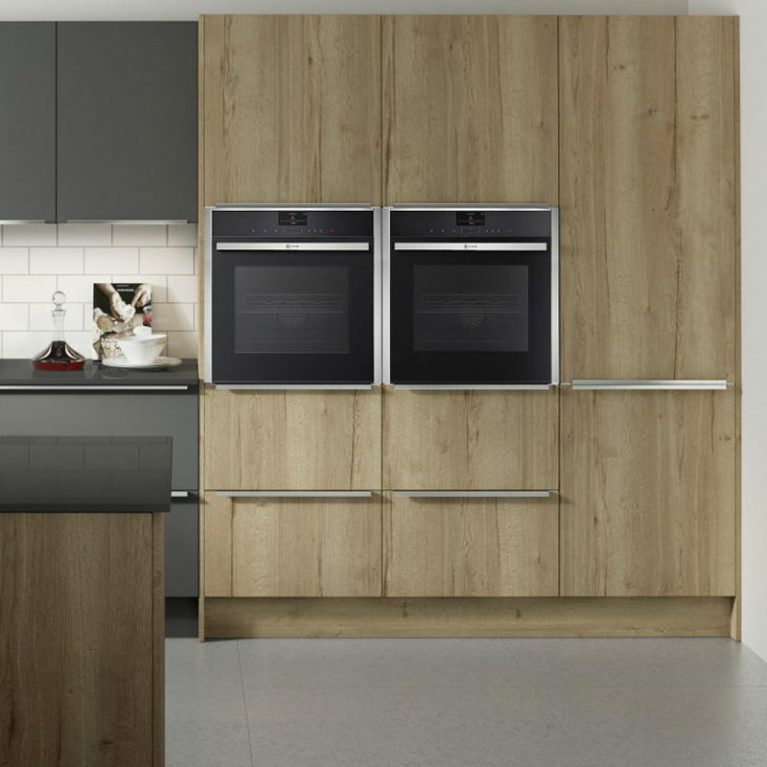 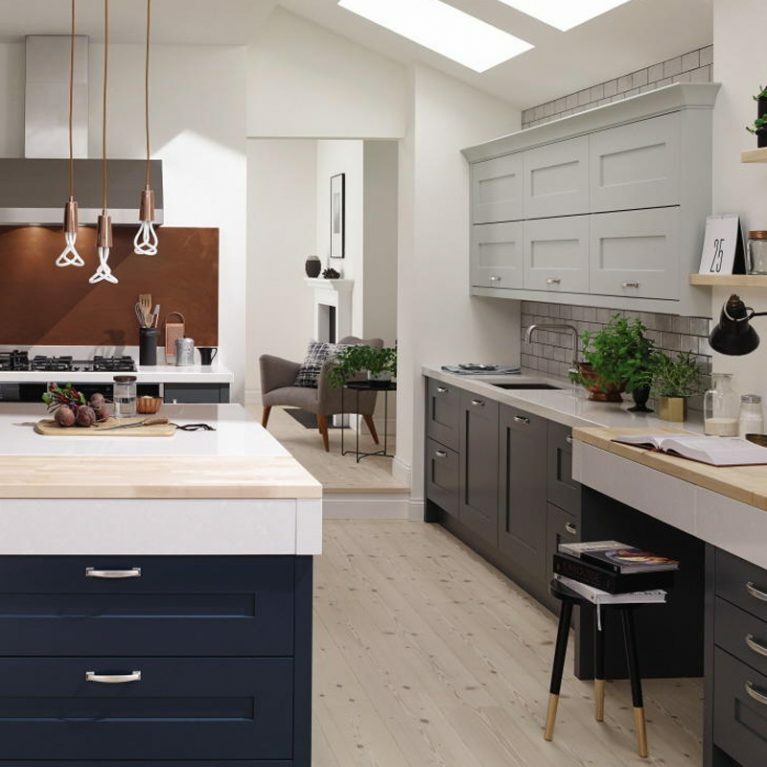 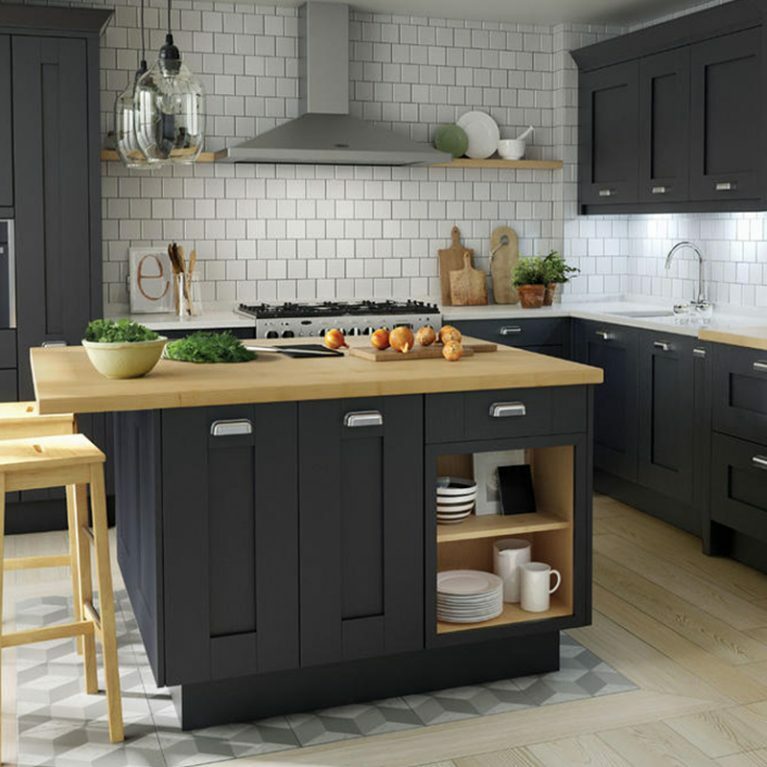 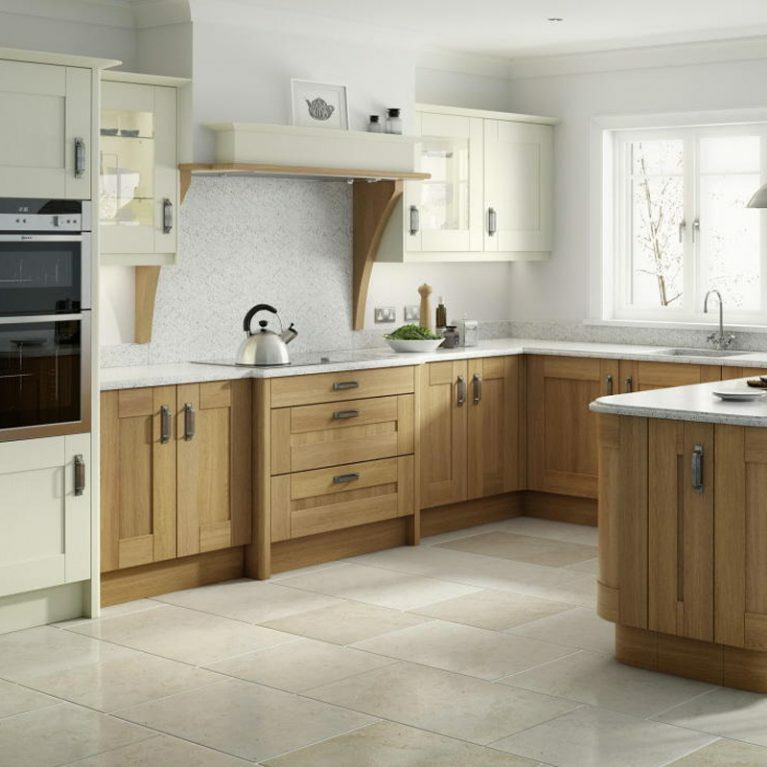 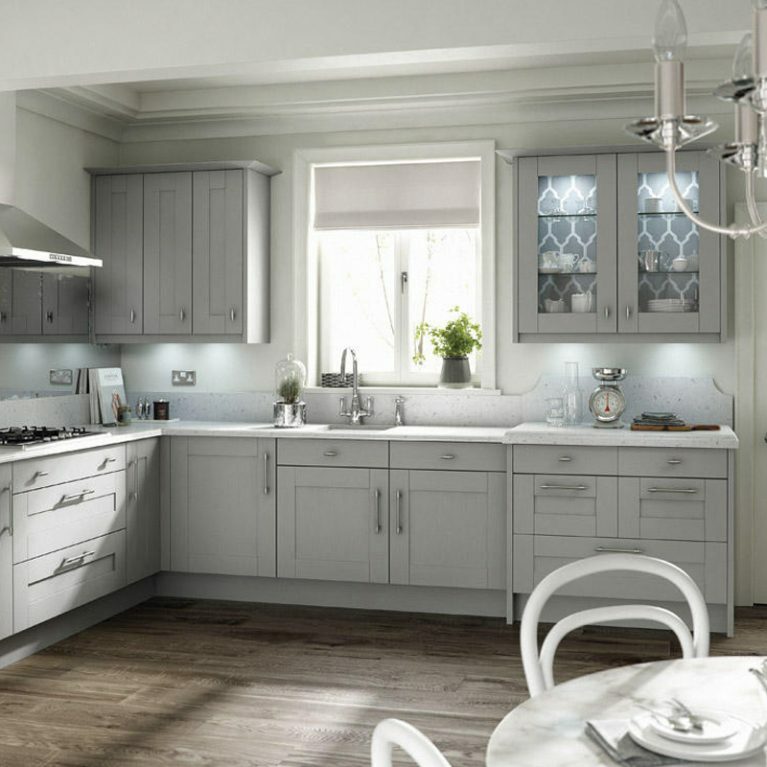 With the Langham classic alabaster wood kitchen, you’re getting a durable and on-trend kitchen solution that is designed to stand the test of time. 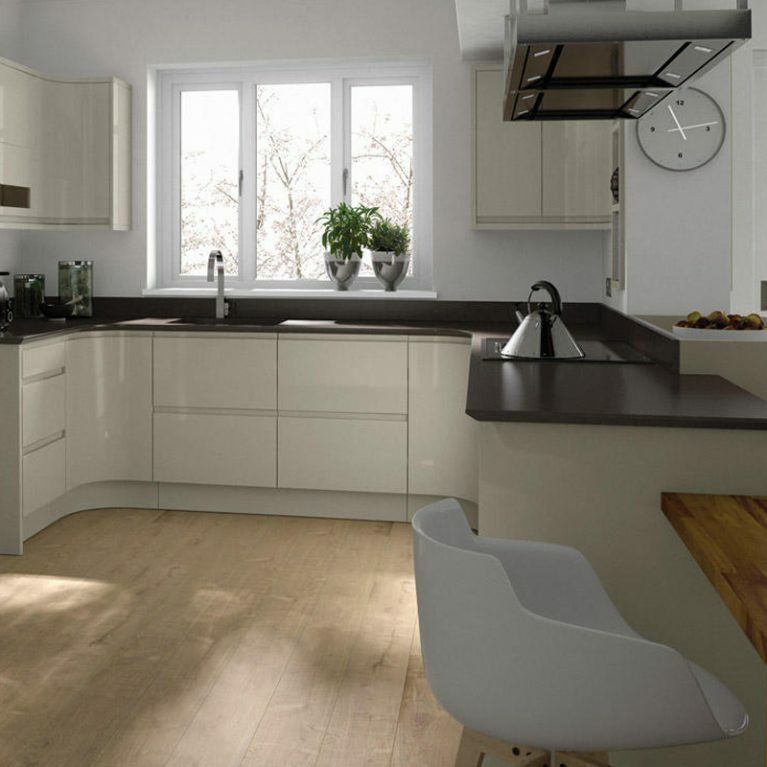 It features wide rails and chunky solid timber doors that will last for years without dating. 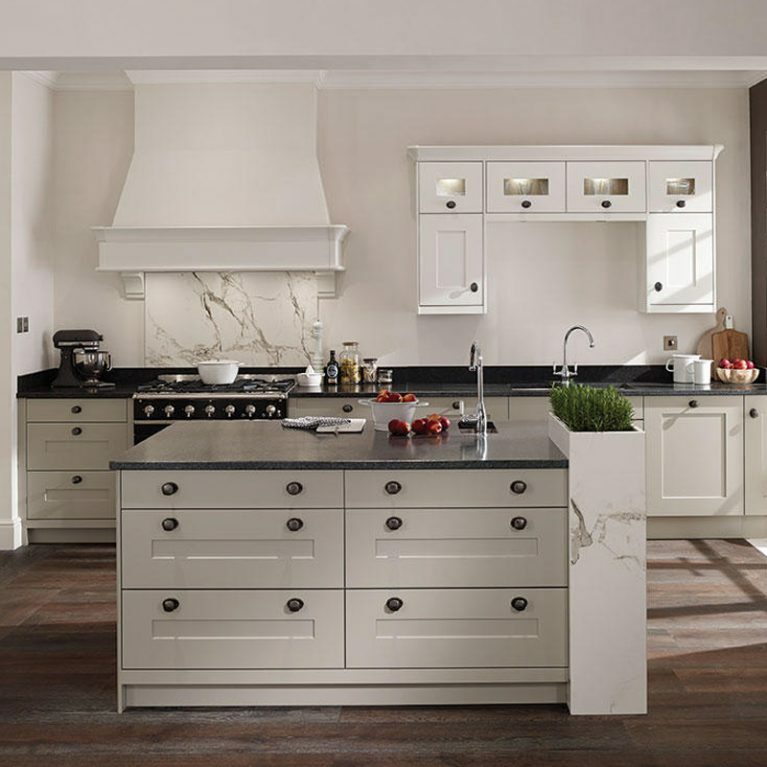 Finished with round chrome knobs to add an extra modern finish on all of the cupboard doors, you’ll be blown away with the storage options available to you with the Langham Alabaster. 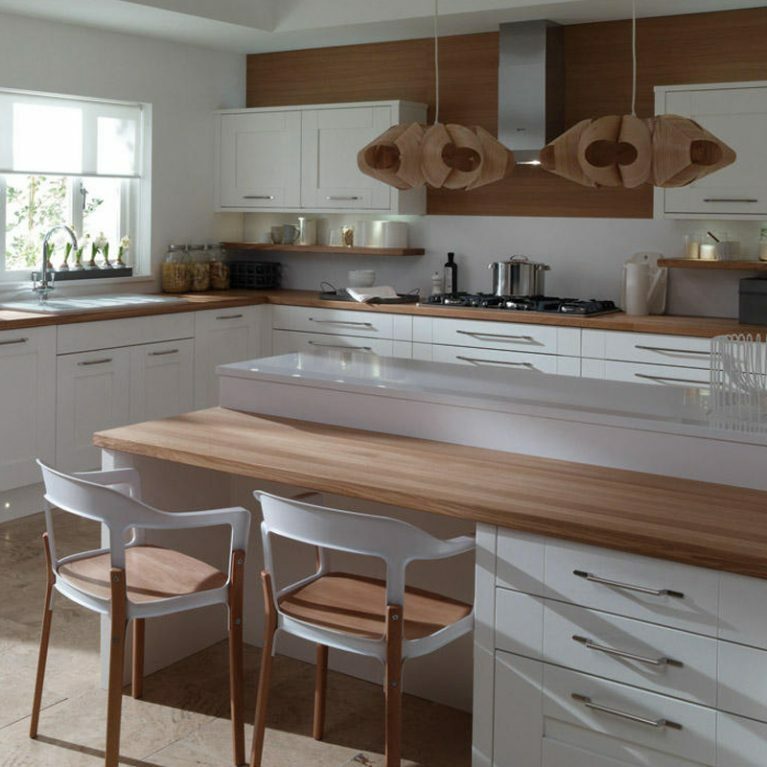 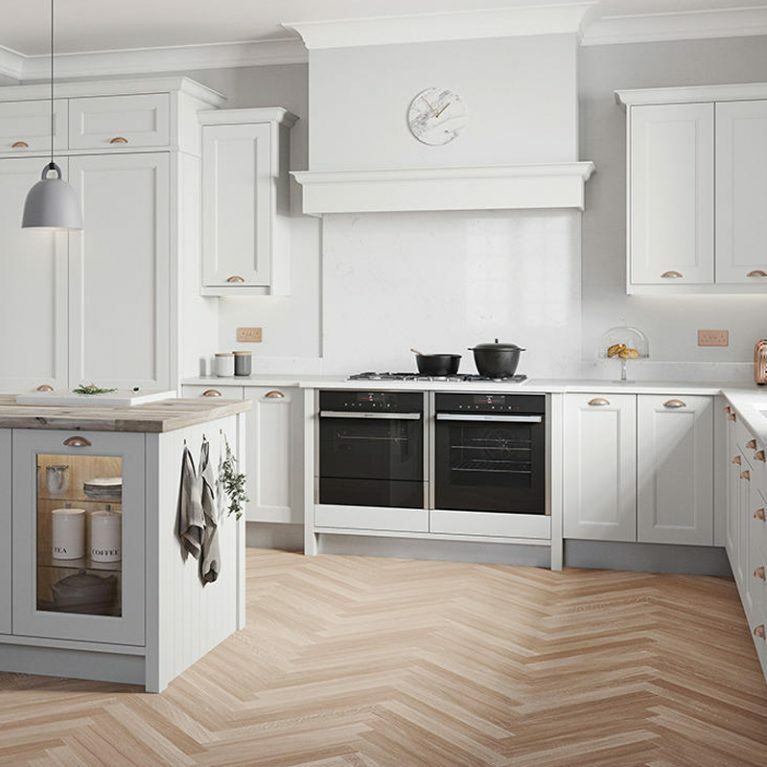 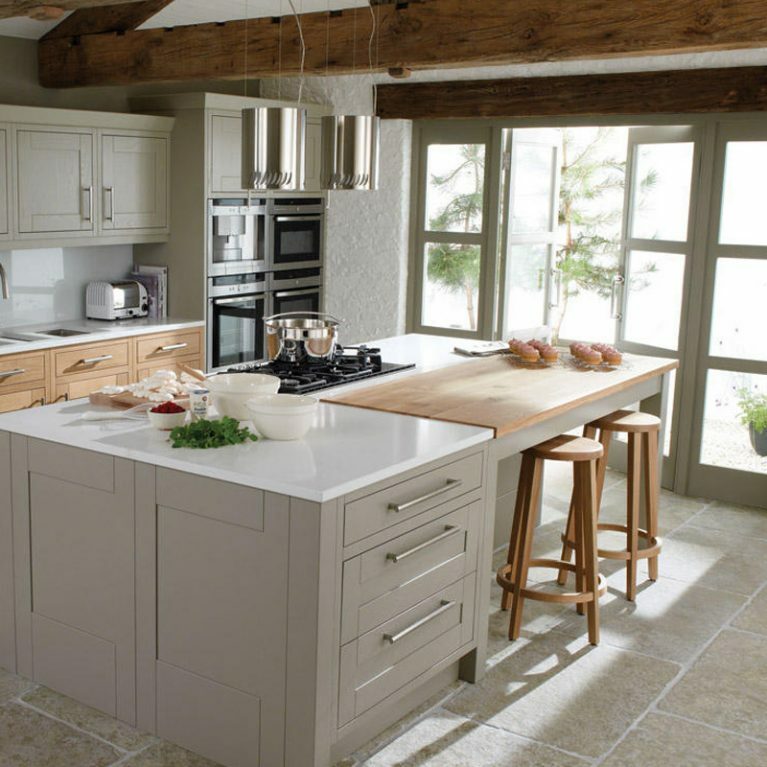 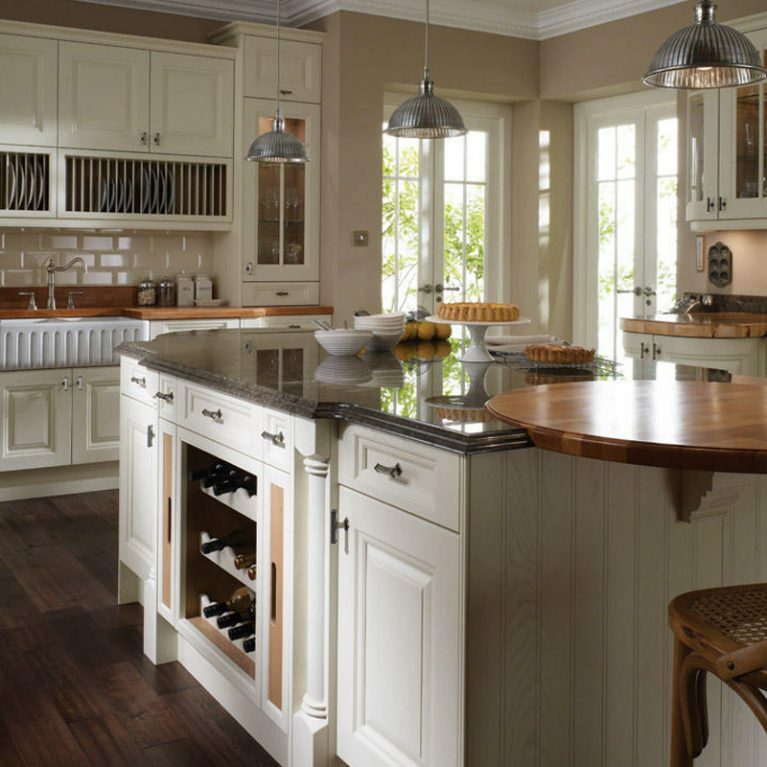 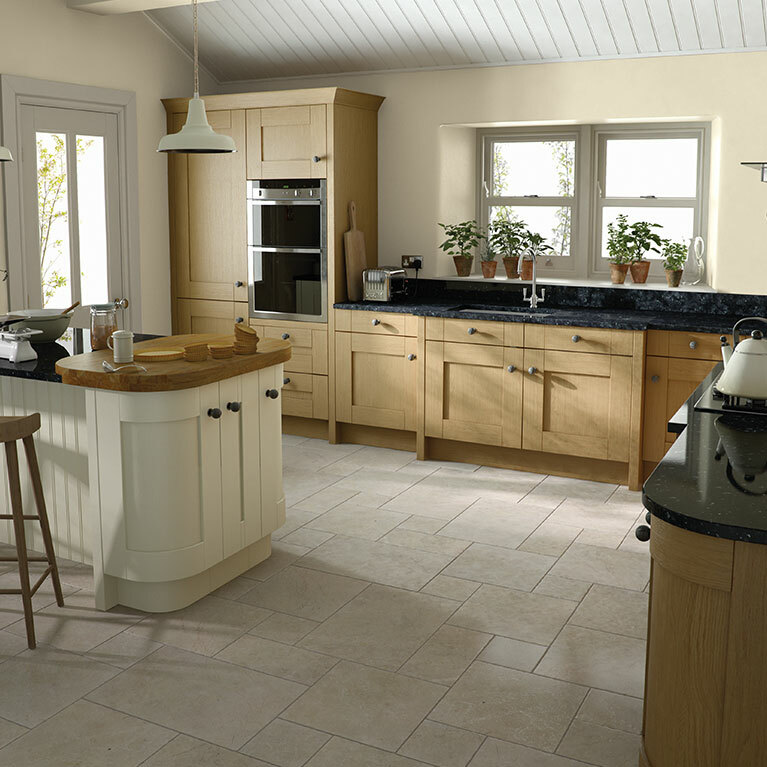 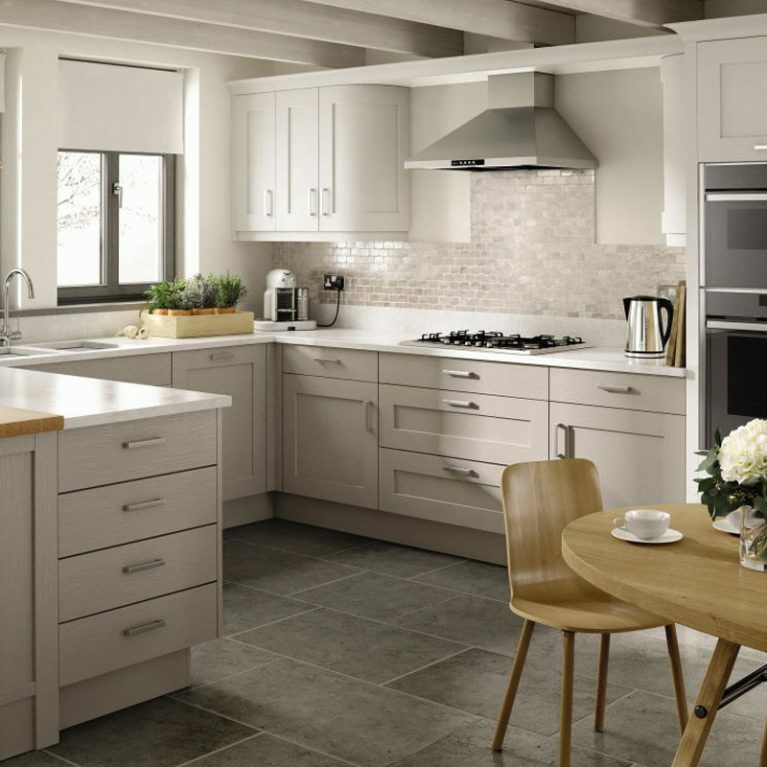 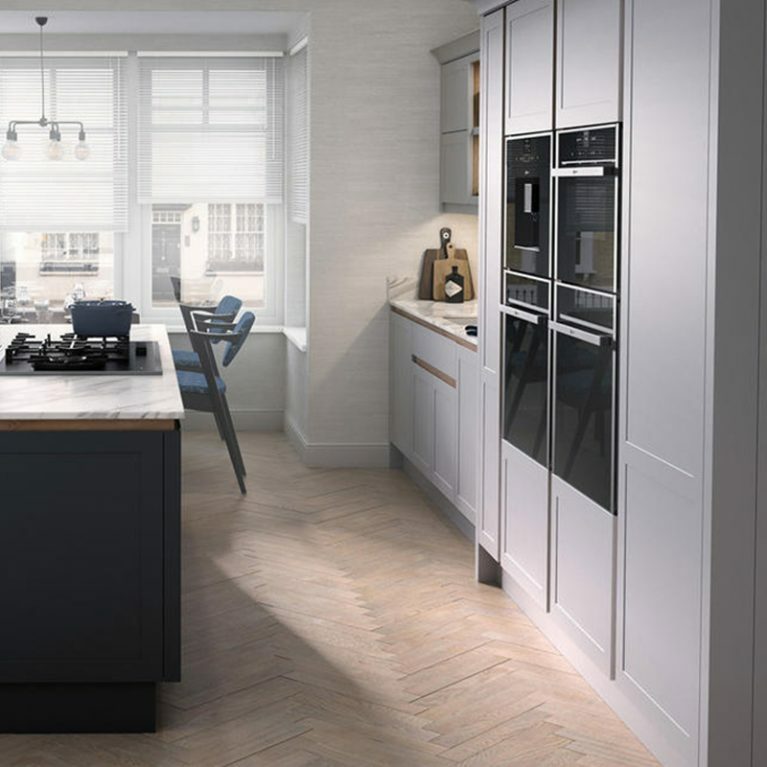 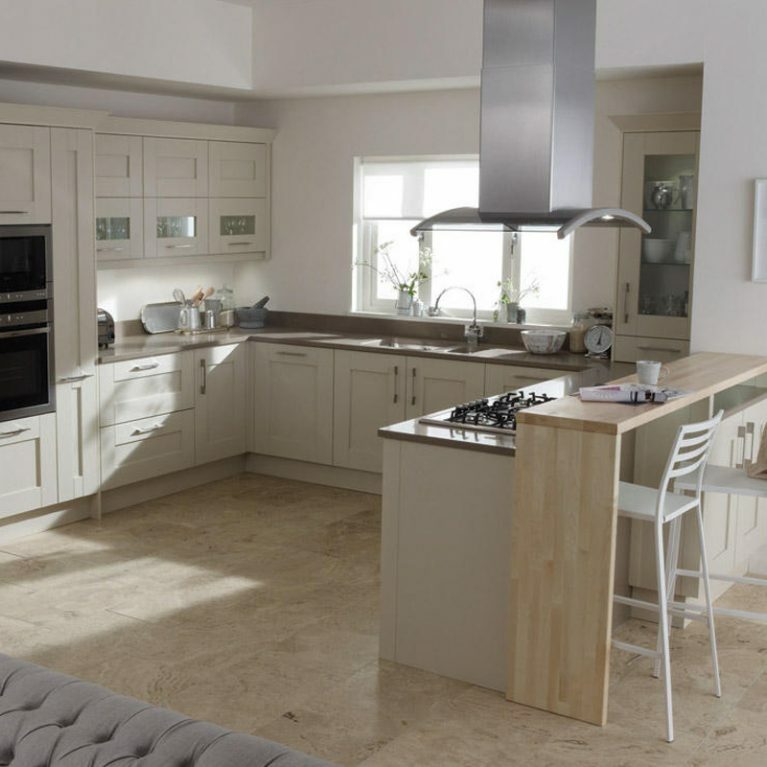 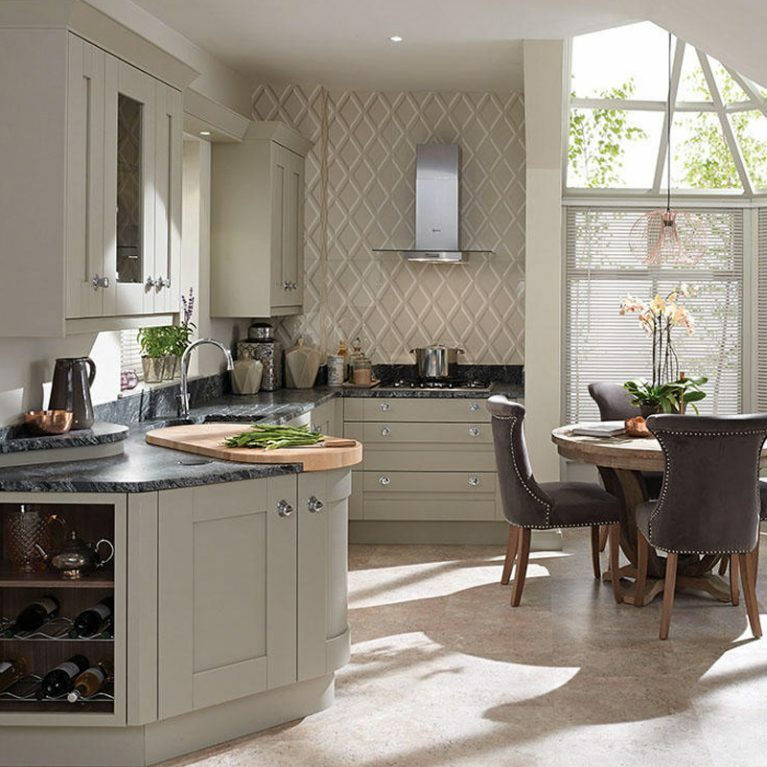 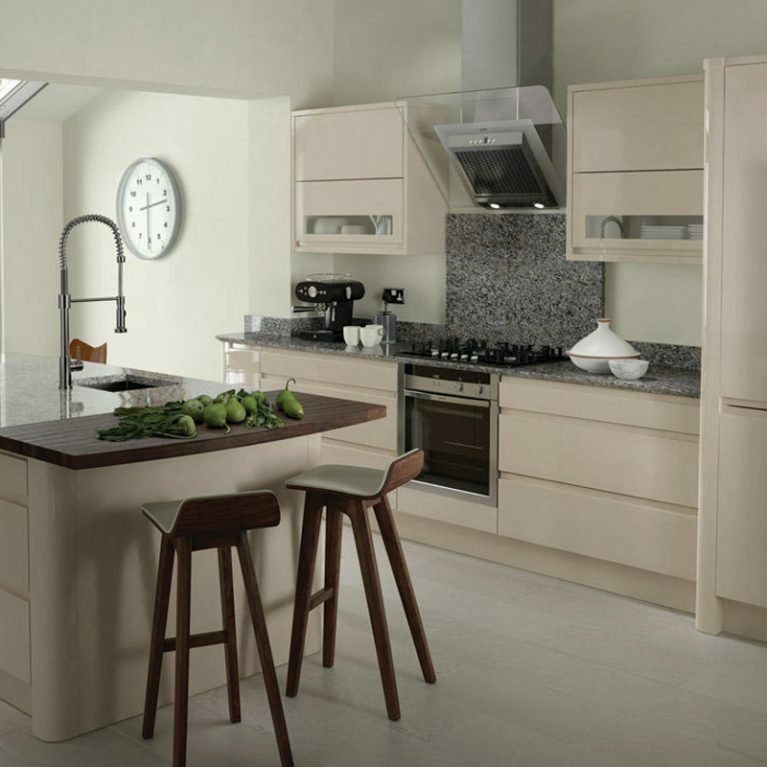 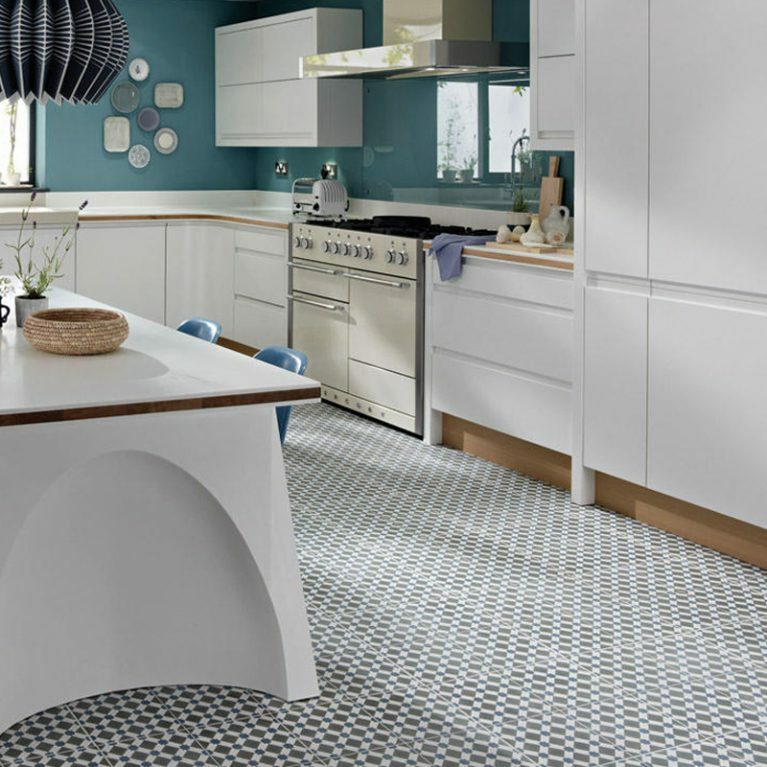 The Langham kitchen that’s pictured works with a beautiful cream shade at the centre, creating a flawless and neutral foundation to build your kitchen design upon. 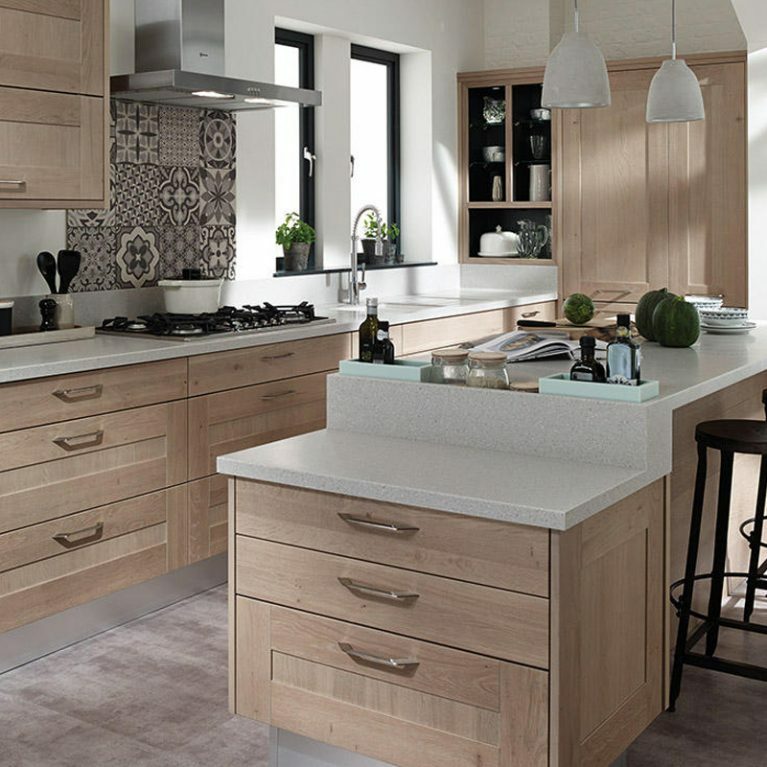 Finished with the sharp contrasting glossy work surface, there’s a light and shade effect which brings endless ambience to your Langham classic alabaster wood kitchen. 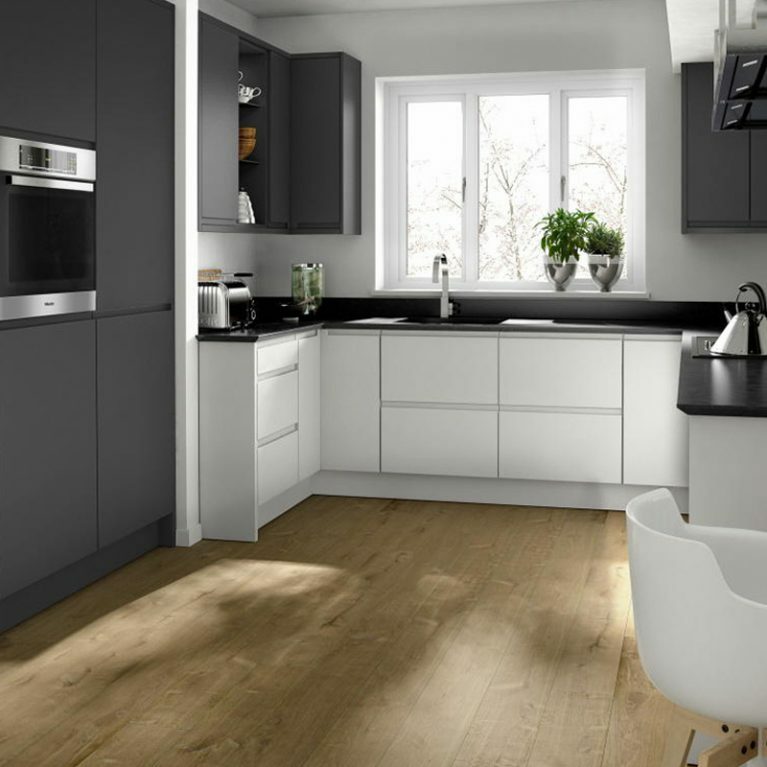 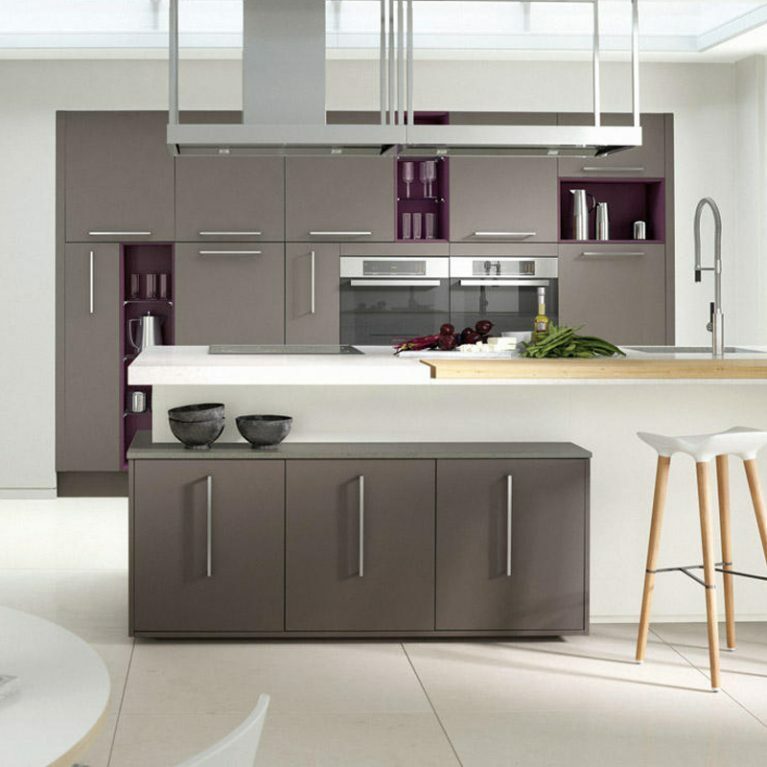 You can opt for a similar colour scheme with a selection of 27 matte finish colour options to choose from. 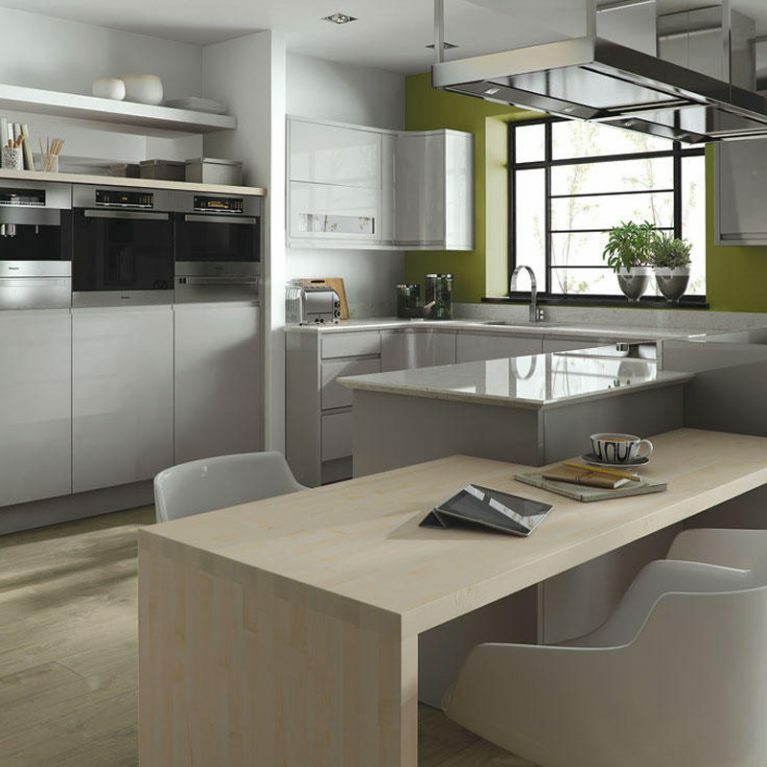 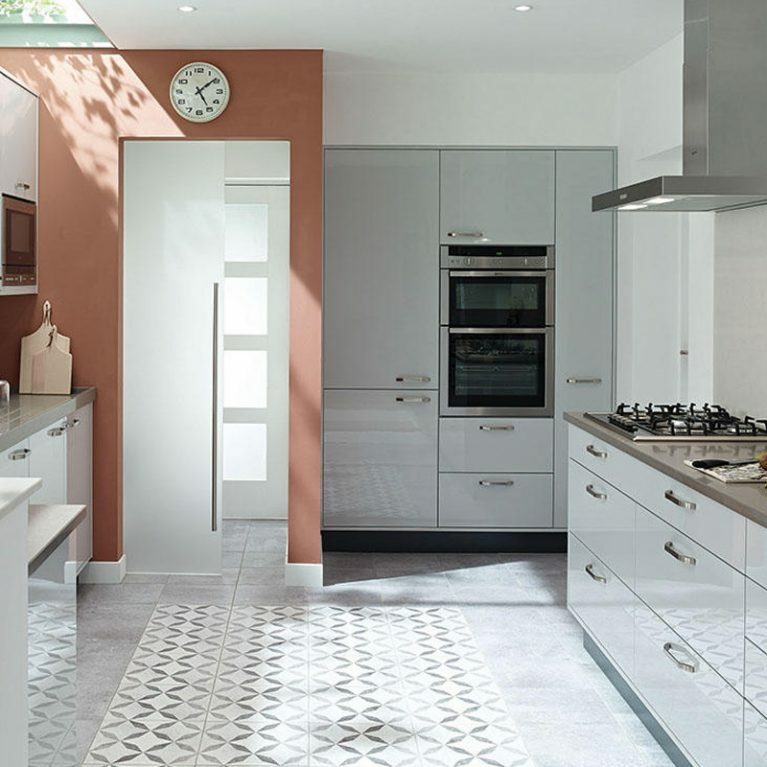 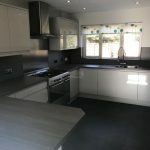 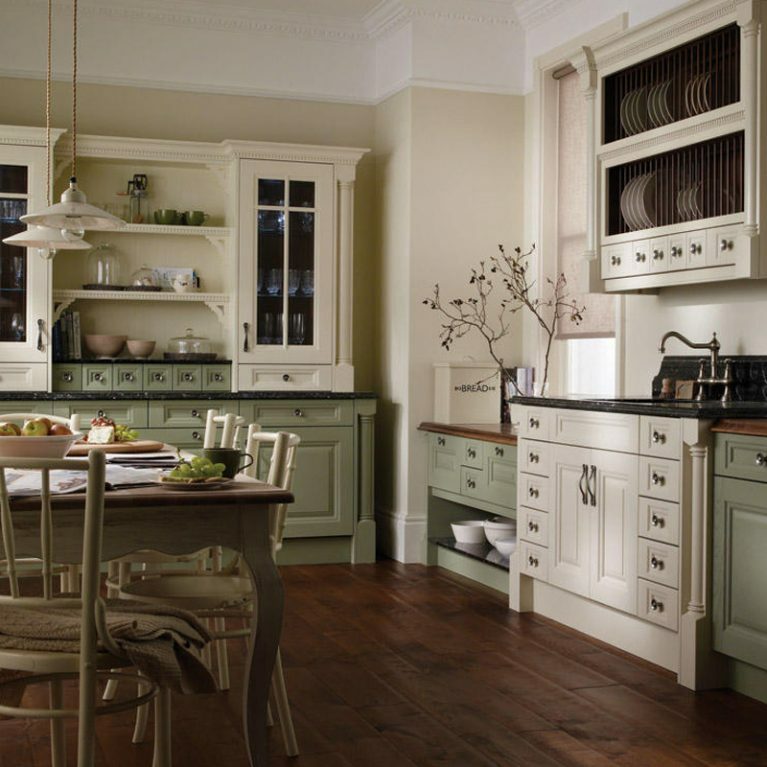 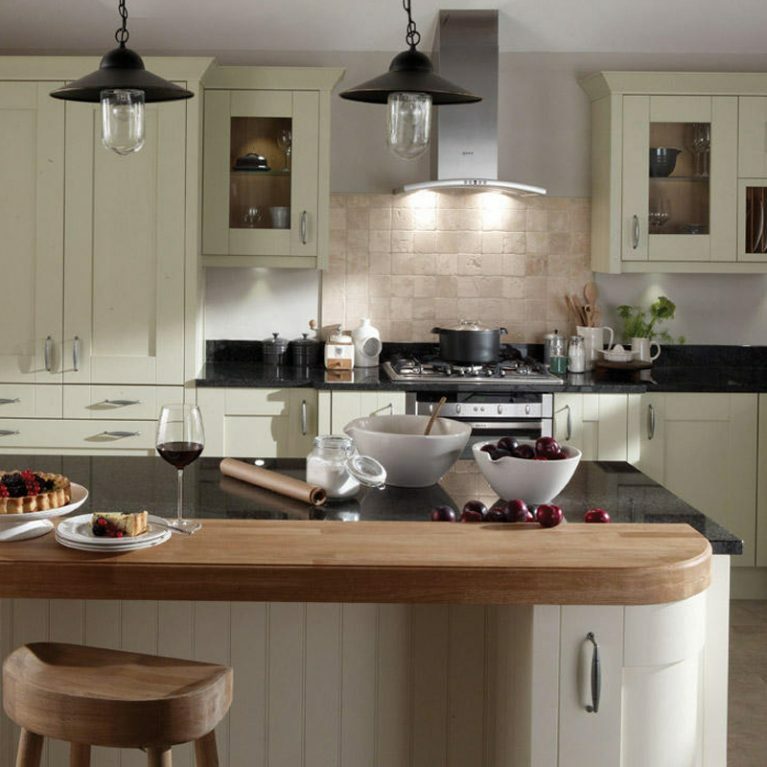 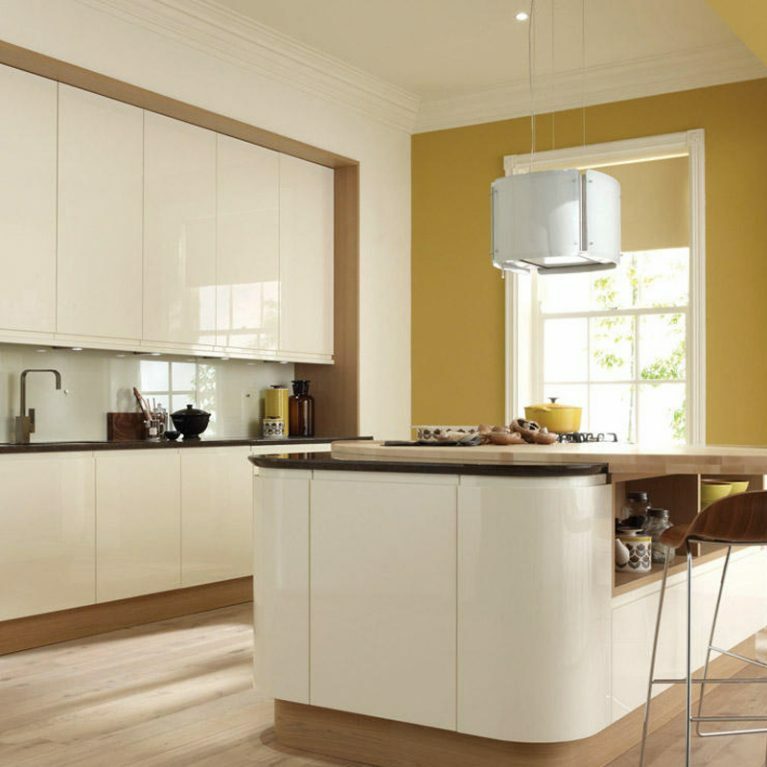 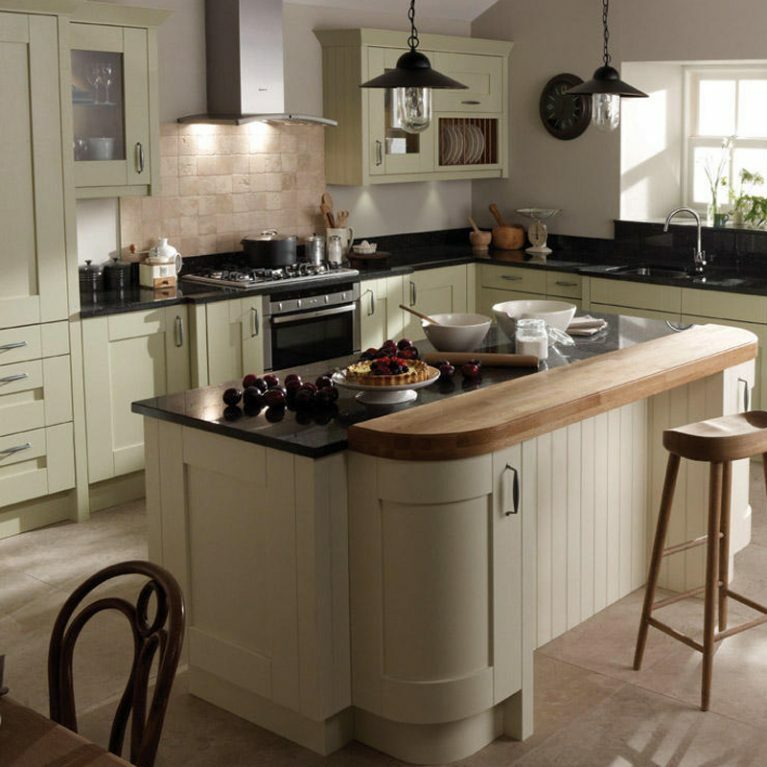 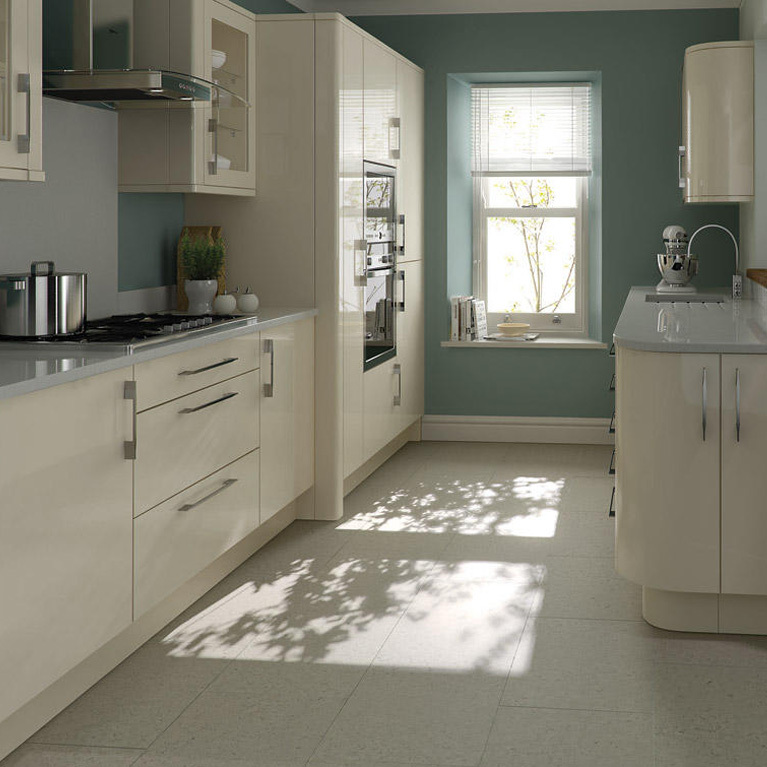 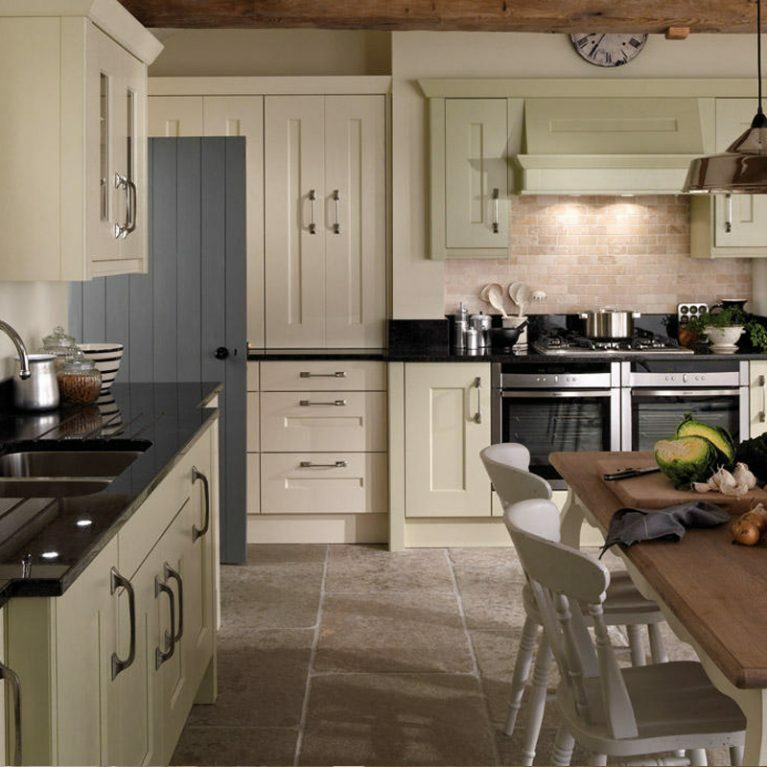 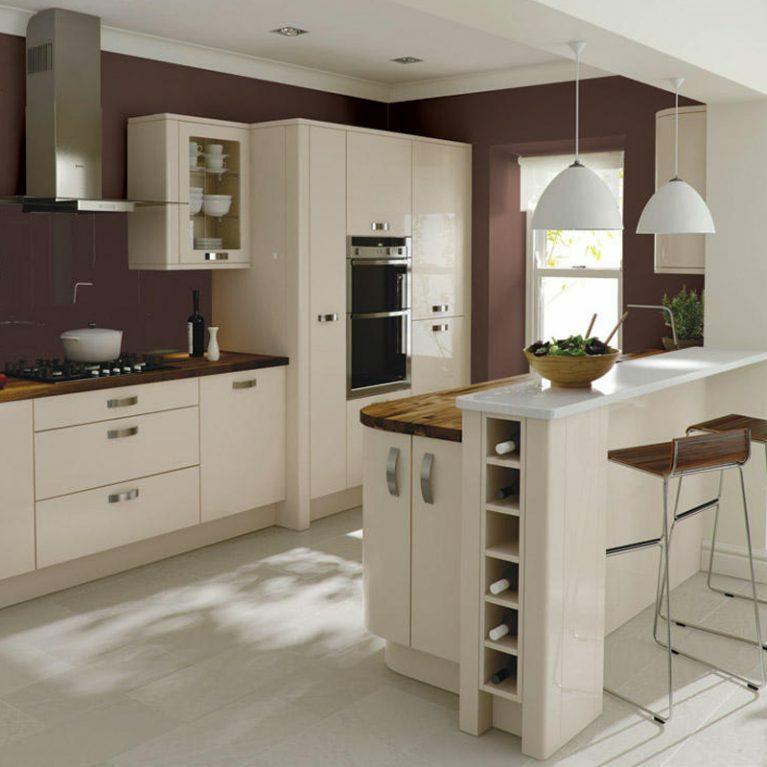 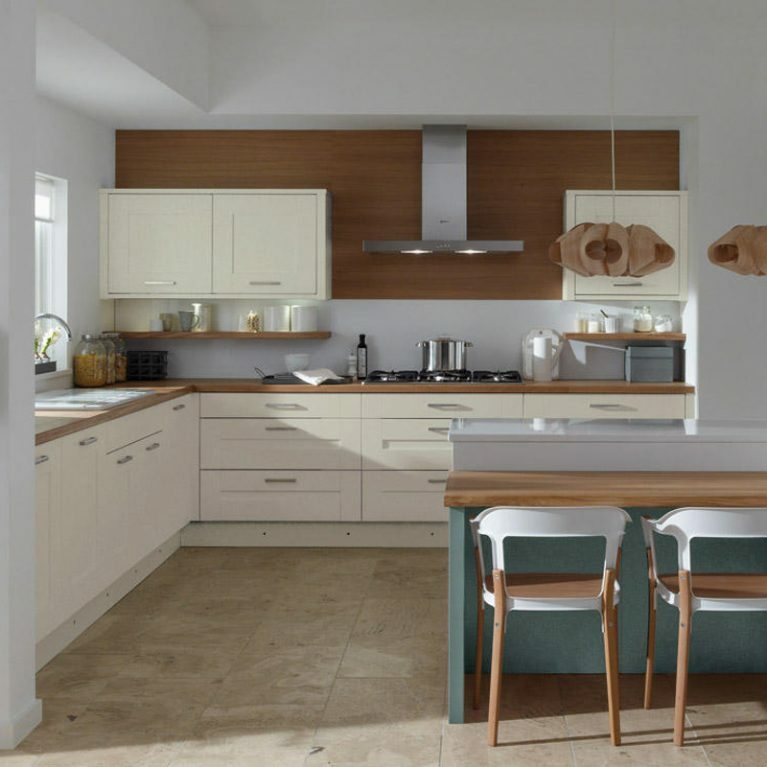 Alternatively, you can switch it up and create a colour palette that will perfectly bring your dream kitchen to life. 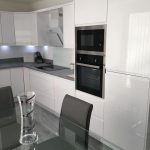 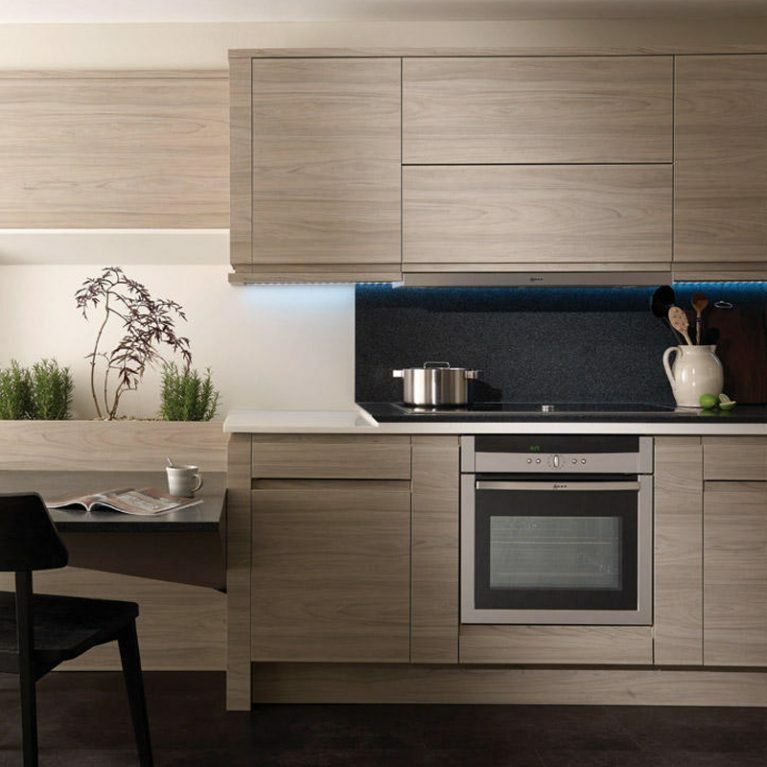 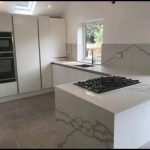 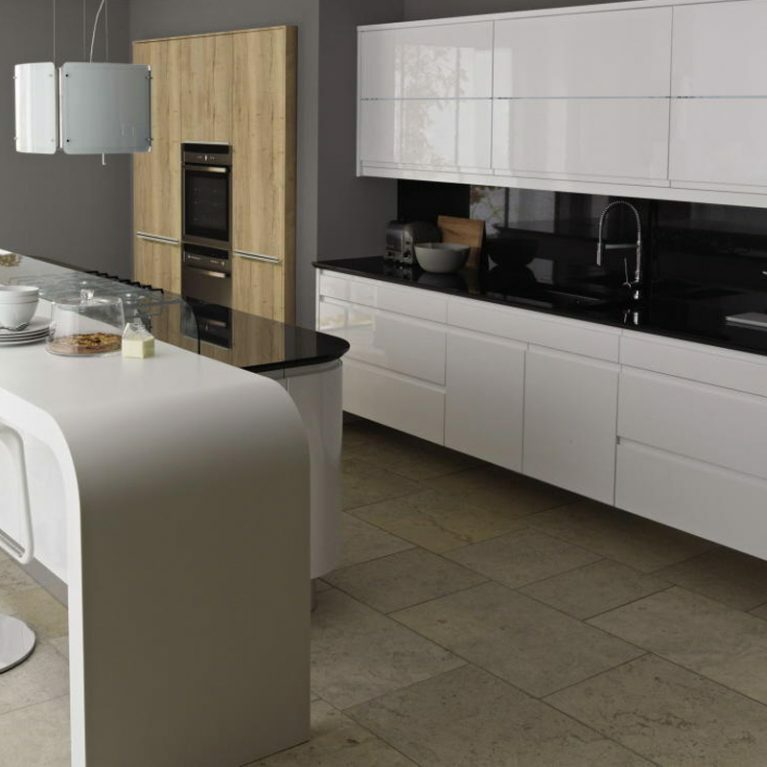 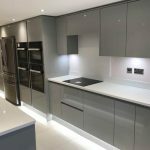 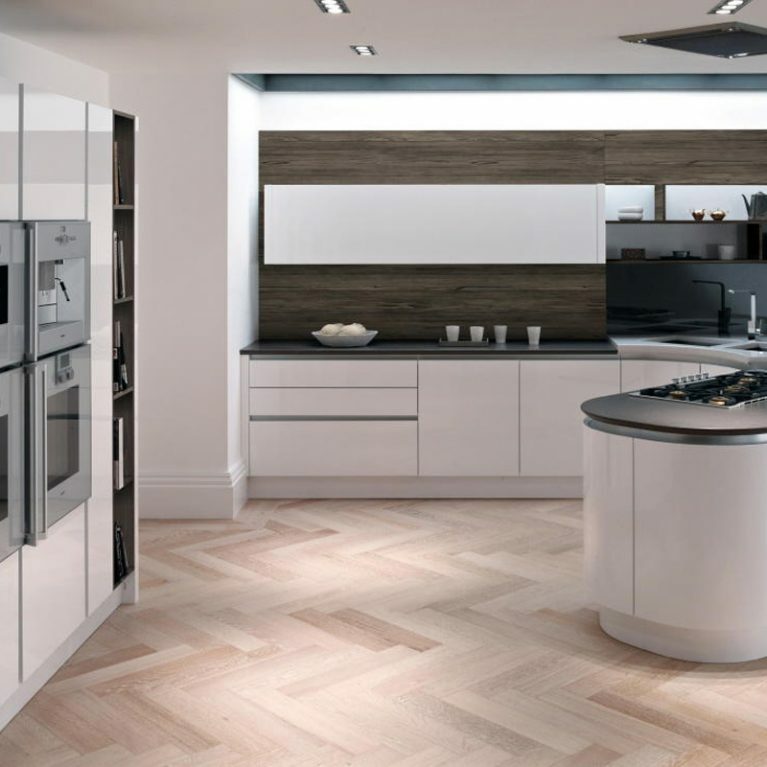 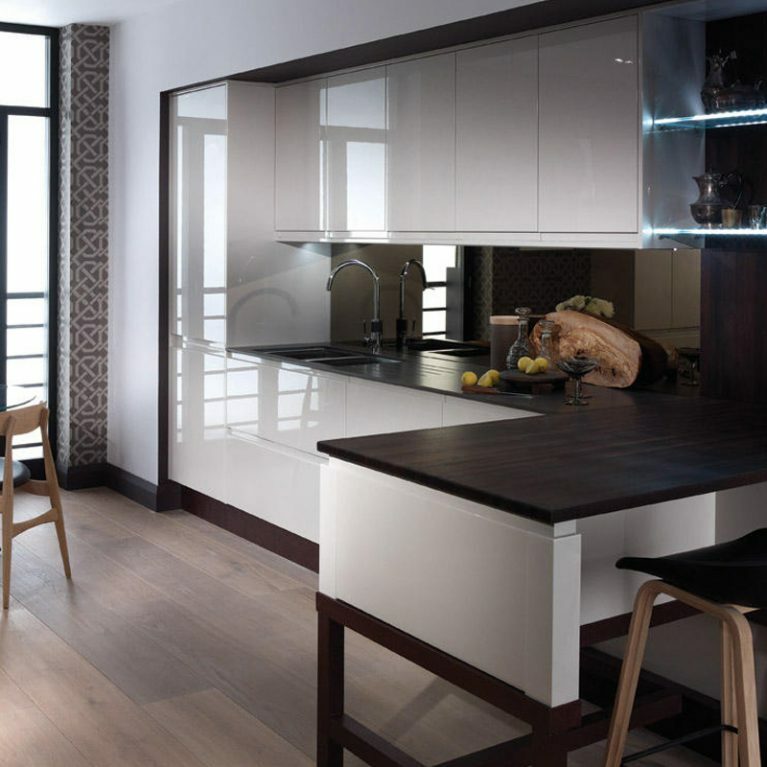 You’ll find a combination of solid cupboard doors and those with stylish glass panels fitted as a wonderful juxtaposition. 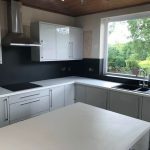 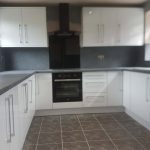 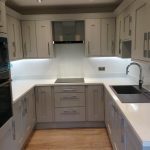 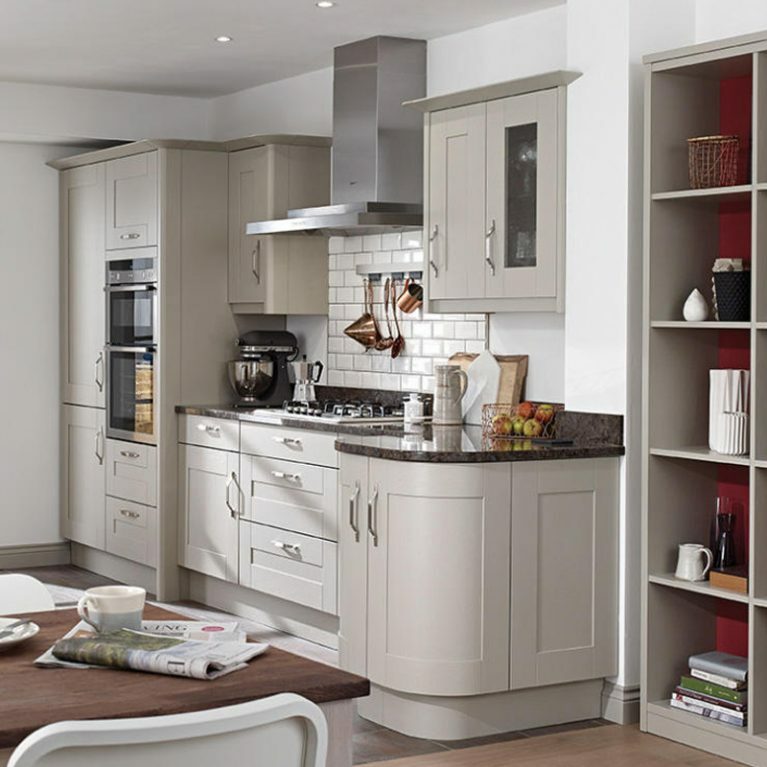 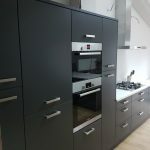 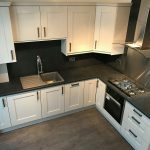 Upper and lower cupboard space will ensure that all of your kitchen accessories and goods will be safely stowed away to avoid cluttering up your beautiful new kitchen. 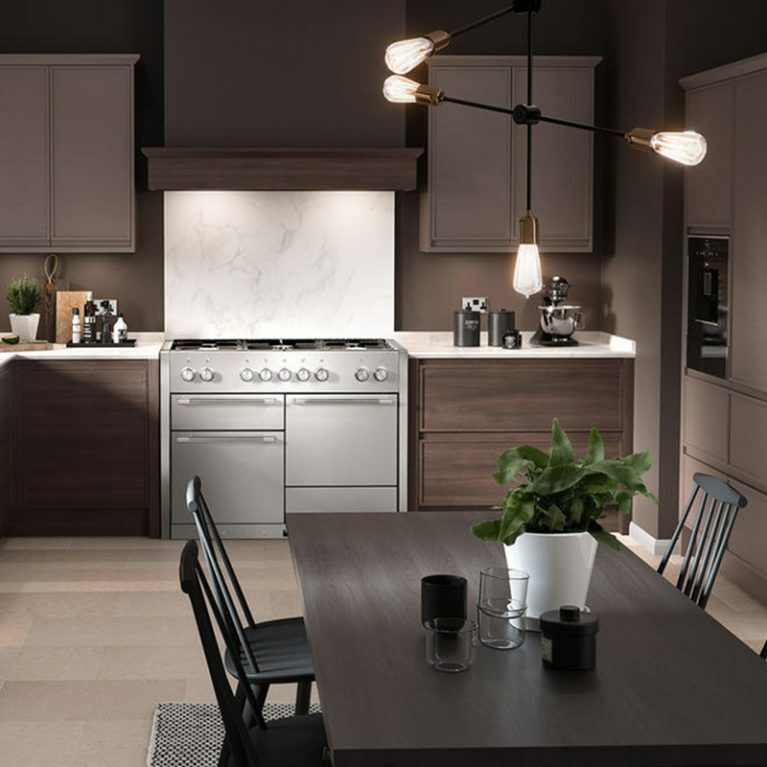 Finished with a chrome curved faucet and sunken sink section, the Langham Alabaster has a flawless end result that will look every inch as stylish in 20 years time as it does today.